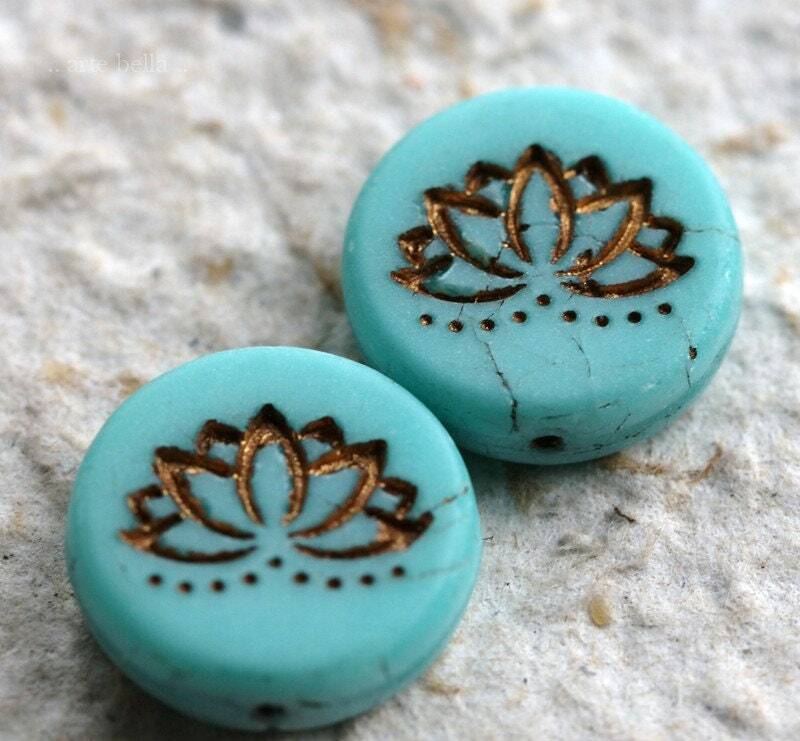 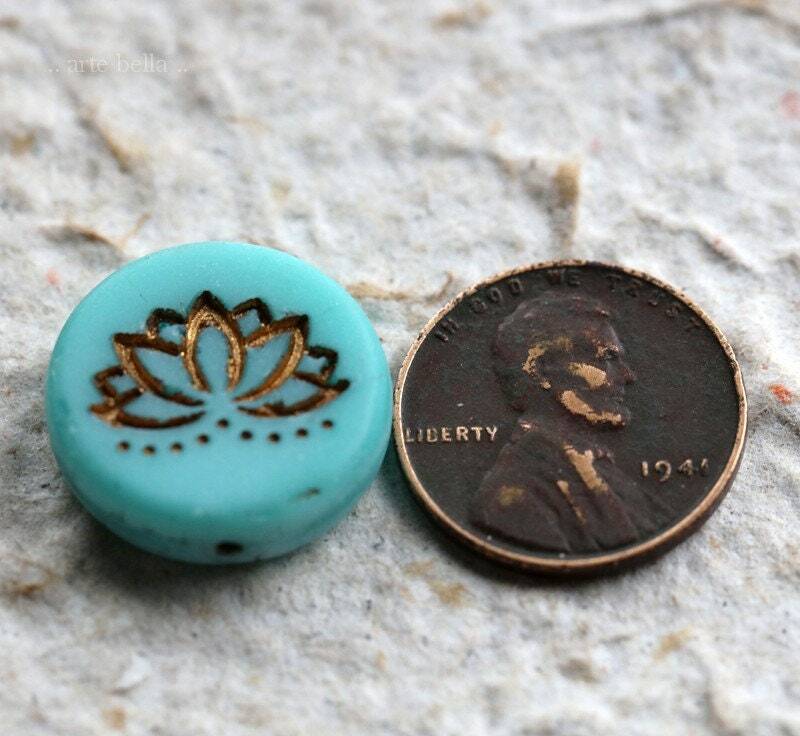 Carved lotus coin beads in a matte opaque turquoise with a golden bronze metallic wash.
Love these beads! 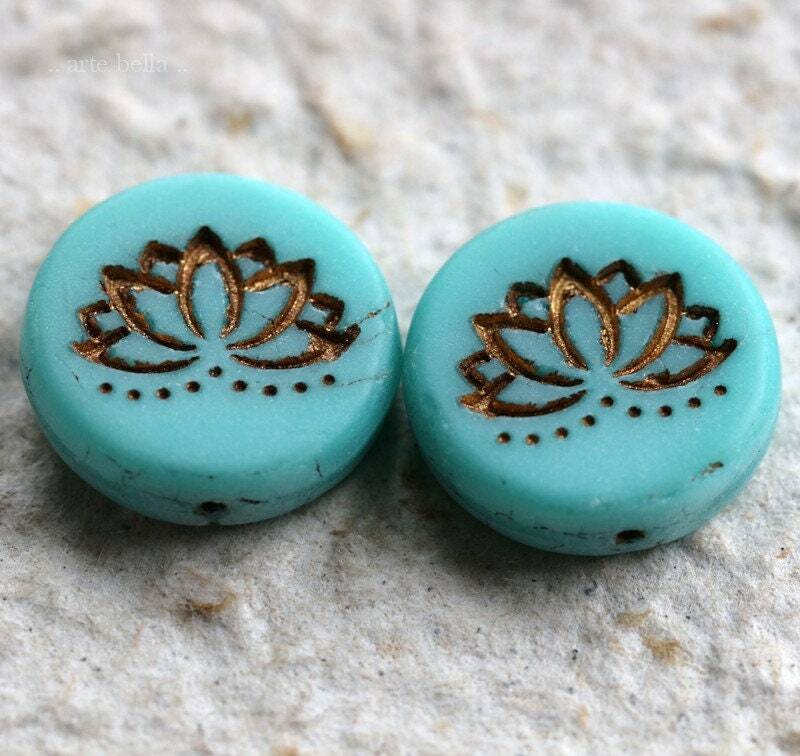 Fast shipping and secure packaging! 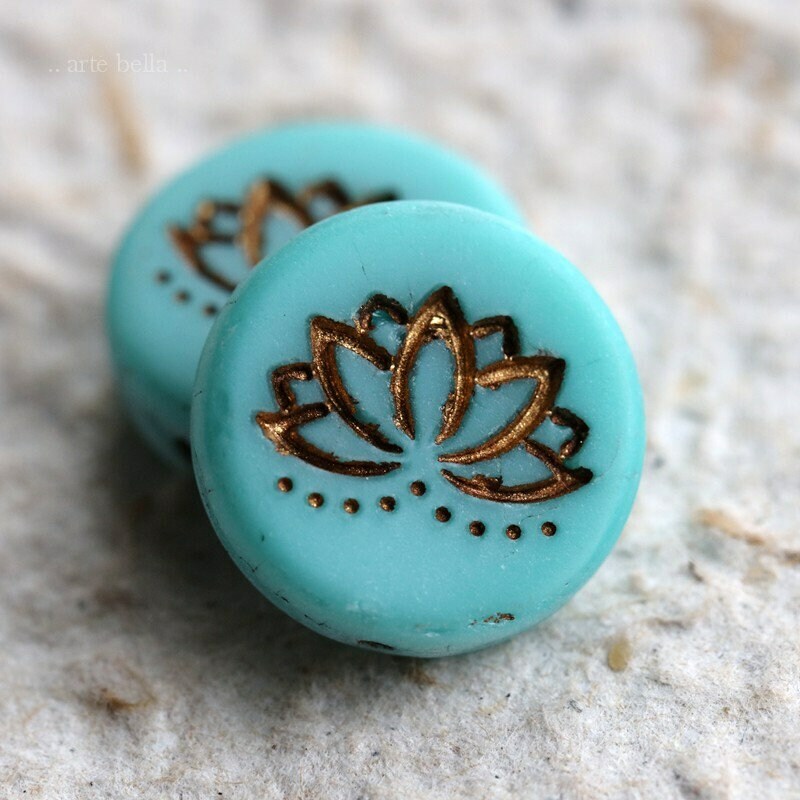 Lovely Picasso lotus design against the turquoise glass. 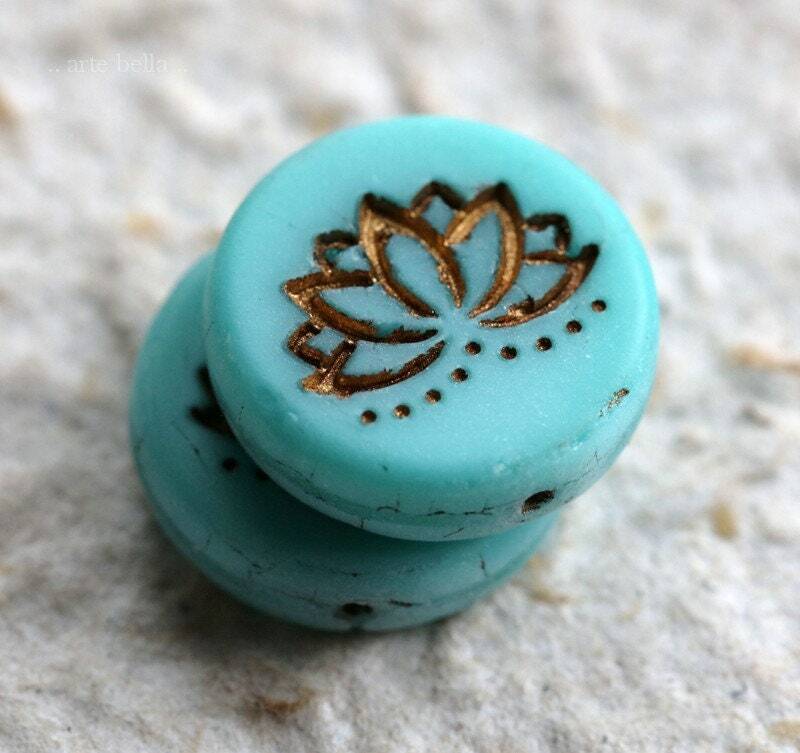 Beautiful beads, fast shipping, Thank you!